Here in the early days of 2018 it would seem that tactical rhetoric is alive and well in the gaming scene, with many weighing in on the seemed-to-be carpet-bombing approach that Valve took against Team Fortress 2 cheaters operating via Linux based systems. 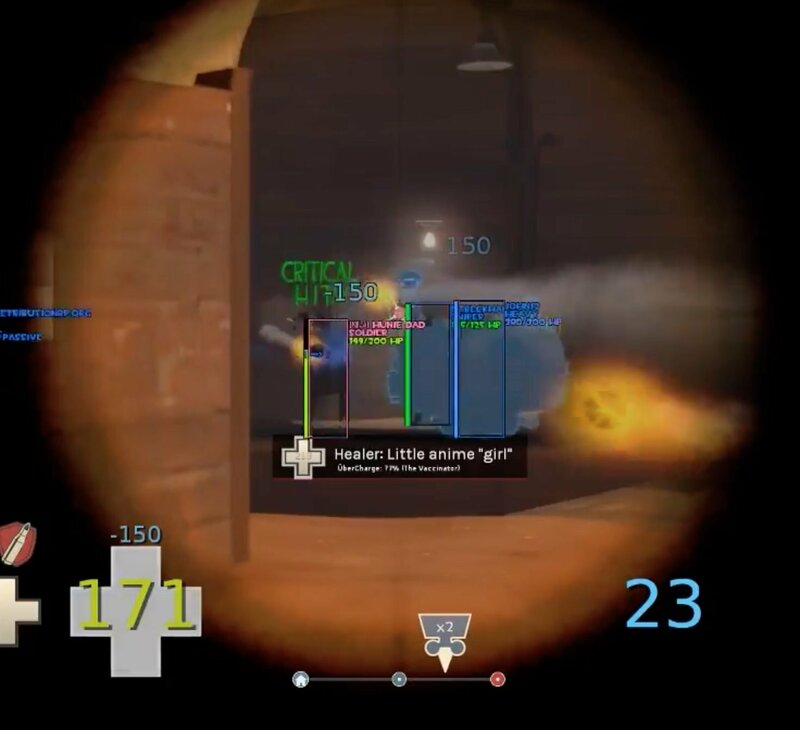 Catbots are cathook enabled bots that connect to servers en masse, mercilessly killing others with instant headshots while using the sniper. The cathook hack, among other things, is an aimbot-wallhack that can be used independently of the catbots. The hacks in question appear to have been in the wild since about August of last year. You can find the cathook repository, publicly listed by nullifiedcat, on Github at the following link. Three days ago a user on Github reported that simply running Linux and having an account named catbot was enough for Valve Anti-Cheat to hit you with an automated ban. So here’s where the waters get a little murky. After the initial post on Github, many users took up their pitchforks and began railing against VAC and the overzealous nature of the supposed fix. It wouldn’t be the first time the conversation has swirled in this direction either. Over the years Valve has had to face down many queries and criticisms regarding both their customer service conduct and their approaches when it comes to stemming the flood of cheaters on their more popular titles. In the last day or so however, a Valve employee has come forward to put the fears of unfair banning to rest. You can read the official statement here but the gist of it is that the bug report was incorrect and that this is an effort perpetrated by cheaters to have the user-base lash out against VAC. If all that sounds a little too tin-foil-hat to you then fair enough, but a little digging shows that the intentional misinformation theory does hold considerable water. Chrys0lis for example, the user who started the megathread on Reddit, has a Youtube account that features what appears to be some pretty rampant TF2 cheating. While doing some research of our own, we found that a user by the name of temp2145 has also gone and charted out the behaviour of users that posted in the Github bug report thread before it got locked. The findings are spurious to say the least, many of the users having followed the hack creator and each other, forked the hack, or parroted each other’s statements on the matter near verbatim. If you want to read that rundown, you can do so here. Roughly five months ago, in the comments section of a video detailing the hack, nullifiedcat wrote: “There’s a problem – legit players (non-cheaters) and cheaters rename themselves cat-bots too to confuse players (or for the meme).” Such a comment would suggest that the deployed misinformation is part of a plan that has been in motion for quite some time now, having come to a head in the past few days. If nothing else, the case of the catbots is a sobering reminder to not believe everything you read on the internet, and that things aren’t always how they seem to be. Rest easy and frag on Linux users, this one appears to have been a hoax!